Last week we finished a very successful and abundant summer season. Thank you to everyone who participated in the summer shares, attended our pizza nights, brought baked goods, shared recipe ideas, and greeted us with smiles every week. Your enthusiasm and appreciation keep us going through both muggy, hot days as well as chilly and raw days. Share value is the difference between what you paid for your share and what you would have paid for comparable produce at retail price. We hope that you enjoyed this productive and diverse summer share season. After 29 years, we still never can quite predict what will happen when we put seeds in the ground. In 2018, our summer CSA share value for the summer was typical, at about 50% bonus over comparable retail. As typical for autumn we are buttoning up: seeding fields with protective cover crops, tearing out our indoor tomato and cucumber crops to replace them with winter greens, picking up irrigation pipe, and winterizing our equipment. Mostly, though, we harvest crops for Winter Share. In the last week, we’ve filled our coolers with cabbage, celeriac, beets, and rutabaga, and we are starting now on everyone’s favorite: late fall carrots. Delicious and crunchy beyond any aspiration of a summer carrot, we expect to pull, top, and wash over 16,000 lbs of carrots in the next couple of weeks. We still have a few winter shares left, so you don’t have to miss out on all of the bounty; sign up here! Winter shares start November 1 (Group 1) and November 8 (Group 2.) 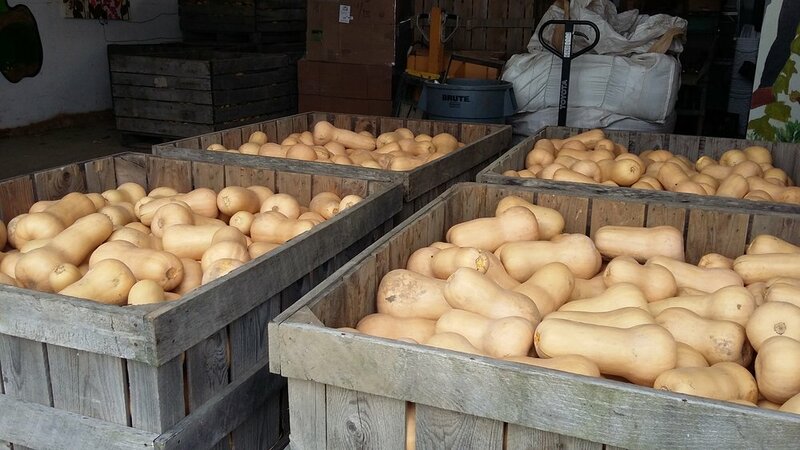 Winter shares are picked up every other Thursday from 3:00-6:00.